On Monday, January 20, millions of Americans commemorated the birthday of slain civil rights leader, The Rev. Martin Luther King, Jr.
After marking Martin’s Day, the next momentous occasion for Americans — and millions more across the world — is 2 February. And, as important as that may be for many Grenadians, I’m not referring to the 2 February convention of the National Democratic Congress, but rather to Super Bowl XLVIII — the championship game in the National Football League (NFL). Super Bowl Sunday in the US is as close to being a national holiday without it having being declared as such by the federal government. It is the second-largest day for food consumption, after the American Thanksgiving Day. This year’s Super Bowl Sunday title matchup, between quarterback Russell Wilson’s Seattle Seahawks and the Denver Broncos quarterbacked by Peyton Manning, will be played at New Meadowlands Stadium, Rutherford, New Jersey. The Super Bowl is so huge, the local and overseas viewing audience so expansive, that a 30-second commercial on a television network carrying the game could devour half the national budget of Grenada or any other OECS state. The NFL, the most popular sports league in America, has television contracts with CBS, ESPN, FOX and NBC, as well as with Spanish-language broadcasters, Telemundo and ESPN Deportes. As a television-viewing spectacle, some say it’s second only to soccer’s UEFA Champions League final as the most watched annual sporting event worldwide. But, this football of the NFL is not like the football to which we are accustomed in Grenada; not the Grenada Football Association-type nor or the kind organized by Waggy-T; nor is it “real football’’ as played in the UEFA League, the British Premier League, CONCACAF nor at CONMEBOL — the competition of the South American Football Federation. In fact, the NFL has little to do with the foot except men — many fat and overweight — using their feet to run. They use their hands about 90 percent of the times to catch the ball, rather than their feet to kick it. There is something about the NFL, though, that forces me to reflect on Grenada and Caribbean football, and sports in the region, generally. And, that is concussion; traditionally, it’s something we’ve hardly paid any attention to. Here’s a scenario familiar to many of us who played sports in Grenada or some other Caribbean nation, or were spectators at a game: Someone gets a blow in the run of play; he/she gets up dazed or “bazodee’’ and play continues; or the coach sends the person back into the game. Bob Hope Belfon — a former goalkeeper of Super Honved of the GFA, Halifax City of the Old Trafford League, and Team Grenada — was famous for frightening knocks of his head on the goalpost that stopped football matches. However, I can’t say I ever remember him having being pulled from games — except one — and given medical attention for what, looking back now, were concussions. In the NFL — where guys spend at least 17 weeks each year smashing into each other like high-speed freight trains — the league will be paying out a fraction of its US$9 billion annual revenue on compensating players who suffered concussions. In 2012, according to reporter Morgan Campbell, “more than 4,500 lawsuits filed by retired NFL players, claiming their football careers led to lifelong cognitive impairment, were organized into a class-action alleging NFL teams knew the long-term effects of football’s head trauma but hid the truth from players’’. Last August, the NFL agreed to a US$765 million out-of-court settlement for the plaintiffs, some of whom are suffering from dementia, depression or Alzheimer’s that they blamed on blows to the head. “This agreement lets us help those who need it most and continue our work to make the game safer for current and future players,’’ NFL executive vice president Jeffrey Pash said in a statement. Half of the total settlement will be disbursed over the next three years; the rest of the money will be paid out slowly until 2033. The former NFLers accused the league of concealing the long-term dangers of concussions and rushing injured players back onto the field, while glorifying and profiting from the game. Author Malcolm Gladwell is one of the most vocal critics of American football, particularly college football, which he likens to dog fighting. “You take a young, vulnerable dog who was made vulnerable because of his allegiance to the owner and you ask him to engage in serious sustained physical combat with another dog under the control of another owner, right? Well, what’s football?’’ asked Gladwell as he explained his dog fighting analogy in an interview. Gladwell, a writer for the New Yorker and best-selling author of The Tipping Point, added: “We take young boys, essentially, and we have them repeatedly, over the course of the season, smash each other in the head, with known neurological consequences. And why do they do that? Out of an allegiance to their owners and their coaches and a feeling they’re participating in some grand American spectacle. Brain damage due to head injuries has been linked to the suicide of some sportsmen. 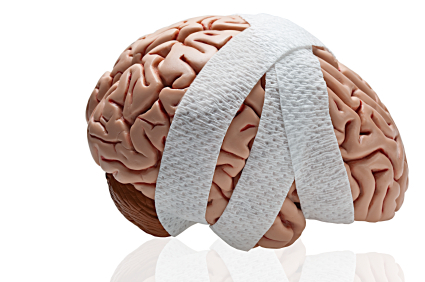 And, apart from the NFL, other sporting bodies — such as Major League Baseball and the National Hockey League — also have been taking a more serious look at concussions and examining how they could improve equipment and, generally, make the games safer for players. The lesson for us in Grenada and the Caribbean, in this New Year and going forward: Let’s place greater emphasis on the health and safety of our athletes, beginning with our youngest amateur athletes to our professionals such as Kirani James and Lottysha “Timmy’’ Cato. For those planning to watch Super Bowl XLVIII on February 2 — may your team win. For me, I’m partial to Wilson and the Seattle Seahawks.